Taking sauna every day or two has incredible long-term health benefits for your heart, brain, lungs…and longevity, new research reveals. But you won’t get the same benefits from a once-a-week visit to a sauna. If you have access to a gym with a dry sauna, and you can get there four or more times a week, wonderful. But it’s a lot easier to take 20 minutes of the sauna experience if it’s inside your own home or in your backyard. Here are the best home saunas for different budgets—for each model, larger versions are available at additional cost. 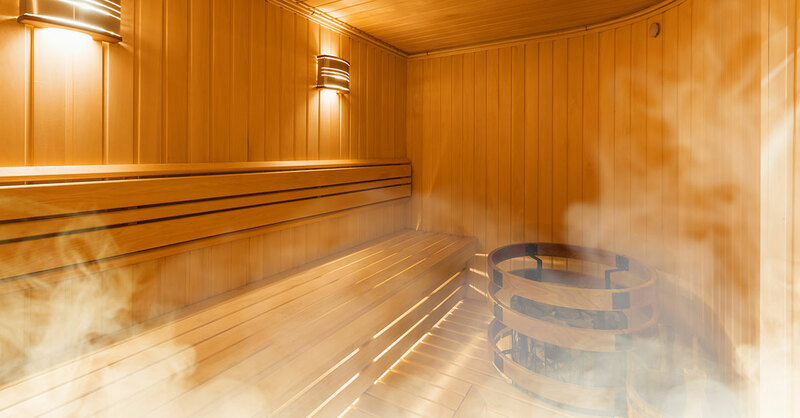 The best, most pleasurable saunas in Finland are heated by wood—there’s something that feels “soft” about wood heat, and the sound of crackling logs doesn’t hurt, either. High-end electric or gas-fired saunas do come close to that experience—and are easier to use and maintain. A wood-fired heater may make sense for you if you want a free-standing sauna on your property, assuming zoning laws in your area allow it. Recommended: Saunacore Country Living barrel sauna, a freestanding, outdoor, cedar, wood-fired sauna. It arrives in a kit that’s relatively easy to assemble. Delivery generally is included, and many dealers will assemble it for around $1,000. Cost: About $8,000 for a 6′ x 6′ x 8′ sauna. For an inside-the-house sauna, consider a model with an electric heater, which does not require a chimney or air-intake system. It heats up quickly and is easy to control. Indoor saunas often are situated in or near a bathroom (it’s nice to shower off immediately after a sauna) or in a basement. Recommended: Saunacore Infra-Core Dual. It’s a prebuilt unit, like a walk-in closet, made from wood and glass. The smallest model (4′ x 4′ x 6’2″ high) can be plugged into a standard outlet and costs around $8,000. Many sellers include shipping. Larger units require a dedicated, higher-powered outlet wired in by an electrician. Infrared saunas do not elevate air temperature dramatically—instead, the infrared light directly heats the body. Sauna purists complain that they don’t deliver a true sauna experience because they do not heat the air. Less research has been done on the health benefits of infrared saunas than on conventional saunas—though the research that has been conducted is encouraging. One consumer benefit—they tend to cost far less than wood-fired or electric-heated models. Bargain-priced: There are many home infrared saunas available online for less than $2,000, but most are of poor quality. But two companies, Dynamic and JNH Lifestyles, outpace the competition at this price point by offering reasonable build quality and effective infrared heaters. Recommended: Dynamic Saunas AMZ-DYN 6106-01 Barcelona Edition (3’3″ x 3′ by 6’1″ high, recently $1,199 from Amazon.com, GoldenDesignInc.com) and JNH Lifestyles Joyous 2-Person Infrared Sauna (3’11” x 3’3″ by 6’6″, about $1,500, JNHLifestyles.com). Premium: These models are a big step up in quality—and price. They have the highest- quality woods, heaters, components and quality of workmanship. Many also have built-in high-quality sound systems and higher-end digital control systems. It’s like an economy car versus a BMW—both will get you where you need to go, but there’s a big difference in quality. Recommended: Sunlighten Signature (3’3″ by 3’2″ by 6’5″ high, $4,597 delivered, dedicated circuit required, Sunlighten.com) and the Clearlight Premier IS-2 basswood sauna (3’9″ x 3’4″ x 5’9″ high, $3,999 delivered, plugs into a standard outlet, InfraRedSauna.com, sold under the Jacuzzi brand name). These are walk-in wood-and-glass cabinets made with real craftsmanship and attractive woods. Each requires some assembly—generally just an hour or two.